So, I wanna check out the big Westfield Shooping Centre (Inglots anyone? ), drink some cocktails, maybe hit Selfridges, ooh I definitely want to find a Boots that has a Dior Counter (can any Londoners help me out with that one? ), have another Eggnog Latte and eat some KFC (classy). I’m staying over-night Thursday and will be leaving Leila in charge of Mr. L for the first time. Nervewracking, but I’m sure he’ll behave himself. I’m at a bit of a loose end on Friday afternoon, so if anyone wants to meet for a coffee, shout at me on Twitter! My Advent Giveaway will be ongoing as long as my post scheduler behaves itself. Keep your fingers crossed for me that the Dior Holiday Palette is still available! Oh my god *cry* I have to work on Friday afternoon and there’s no one to cover me otherwise I so would have come to see you, going to London on Friday night anyway! Ooh hope you have a lovely time!!! The big Boots near Bond Street (not the little one right next to it, the one between Bond Street and Oxford Street tubes) has a Dior counter. I need to hit the Suqqu counter at lunchtime on Friday for a friend and BB for my mum – perhaps we could meet up for a coffee? Aww I hope you get your Dior palette, and have a wonderful child-free time (one of these days I’ll do that myself, lol)! I love the Westfield in London There’s a big Boots there, which I *think* might have a Dior counter. Hope you have a great trip! @Grace London – Hoorah! I shall tweet you on Thursday to see if you’re still available! 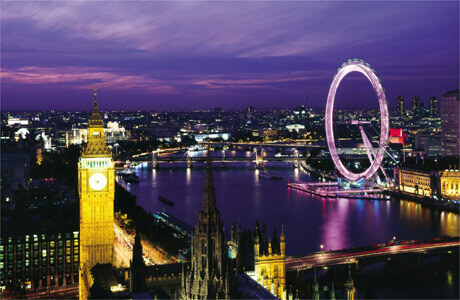 Have a lovely time in London ! Oh which Dior holiday palette? If it’s 089 Smoky Crystal it’s GORGEOUS and I love it. And I am not trying to be an enabler at ALL. Have an awesome trip! i LOVE LOVE LOVE Inglot eyeshadowsss!!! i got a palette made from nyc nad ohhh my god they are the MOST pigmented shadows everrrrrrrrr!! Ah! If you go to KFC in London, don’t go to the one near the Tower of London… it’s absolutely terrible, lol. Honestly, most of the KFCs in England are, lol. Have a great time!! Do tell us about the Inglot shadows…I have yet to try them!